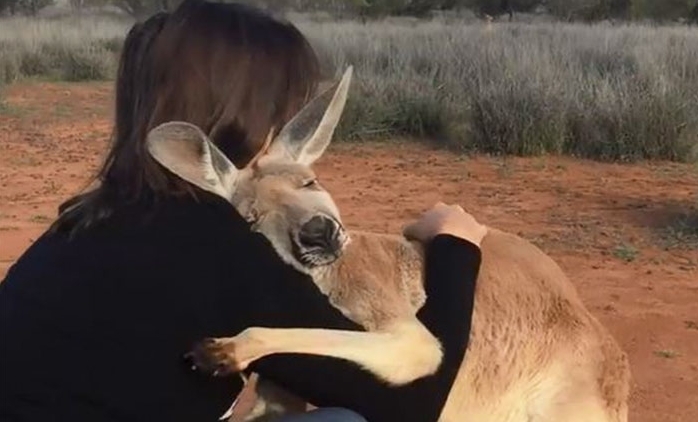 Meet Abigail the hugging kangaroo who is probably the most affectionate rescued animal in the world. We have the cutest story that is sure to hop all the way into your heart! This story comes from an Australian kangaroo sanctuary called Kangaroo Sanctuary Alice Springs. The sanctuary was founded in 2006 and they are dedicated to rescuing, relocating, and rehabilitating baby kangaroos with the hopes of getting them back into the wild. When kangaroos are unable to return to the wild, they stay on the sanctuaries 188-acre property enjoying their life in peace. The sanctuary also educates the public on these beautiful creatures by offering a guided sunset tour to the general public, school groups and visitors. 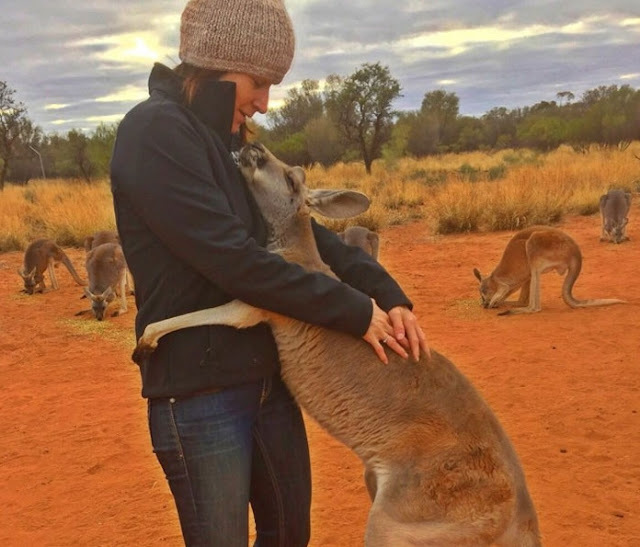 Rescuers say Abagail (also known as Abi) is one of those most affectionate kangaroos they have ever known. 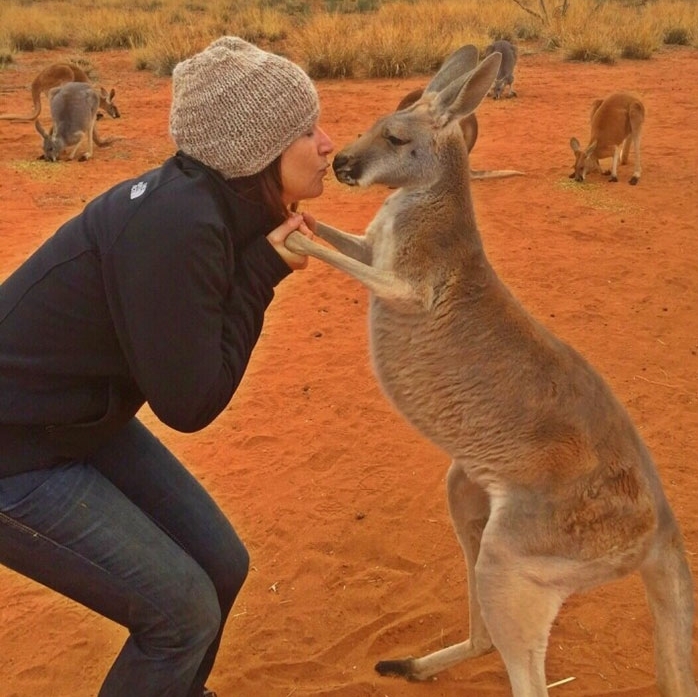 Just look how adorable Joey is giving her caretaker a warm big hug! As we can see from this sweet story, all animals really just want to love and be loved in return. Wildlife sanctuaries like this provide a vital safe space for animals who are threatened in their natural habitat. While kangaroos are some of Australia’s most iconic animals, they are also at risk from habitat loss due to urban expansion as well as cattle grazing. Thankfully, sanctuaries like this one exist to give these animals a second chance – something that Abigail is clearly very grateful for! Responses to "Rescued Kangaroo Thanks Her Rescuers With Loving Hugs Every Day"